Happy National Pumpkin Cheesecake Day!! In case you haven’t realized it yet fall is my favorite season! When the fall season arrives, so does the pumpkin flavor and who can resist that delicious sweet taste?! 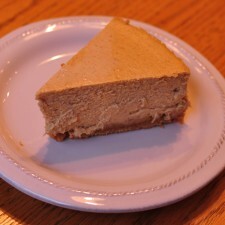 Two years ago, I decided to experiment and make a pumpkin cheesecake for Thanksgiving. It turned out so tasty, and everyone in my family loved it. My father-in-law enjoyed it so much that he let me know that I would be making it every year for the holidays! I was so impressed with the outcome because it was my first time making it. I knew the basic ingredients for this dessert, pumpkin, cream cheese, eggs but I put my own twist on it to enhance the flavor. Combine graham cracker crumbs, cinnamon, coconut oil and brown sugar in a small bowl. Press the mixture into the 8” baking pan. Press onto the bottom and halfway up the sides. Bake the crust for 5 minutes. Mix the cream cheese in a large bowl until fluffy. Add brown sugar, vanilla, pumpkin pie spice, cinnamon and allspice. Add canned pumpkin to mixture and blend until creamy. Add eggs; one at a time. Add salt. Mix until blended. Pour the filling evenly into your prepared crust. Bake for 50-60 minutes. Let the pie cool completely. Store in your refrigerator overnight. 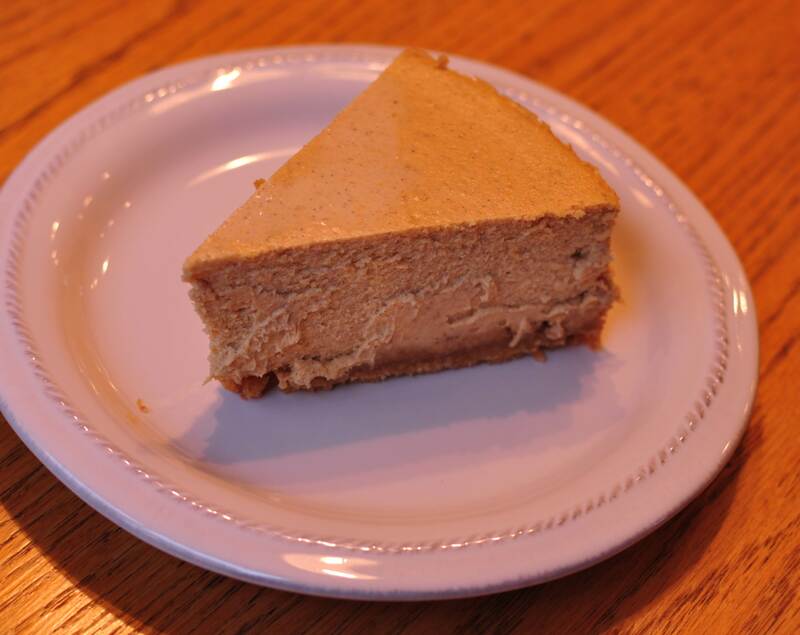 When you wake up in the morning you can enjoy your pumpkin cheesecake with a delicious cup of hot coffee! This is one of my favorite desserts to make and it is enjoyable any time of the year! What are some of your favorite baking dishes this season?